Feels so good! Our second year completing the SLO Swim Center 100-Mile Challenge. Come join us on the 2018 adventure! 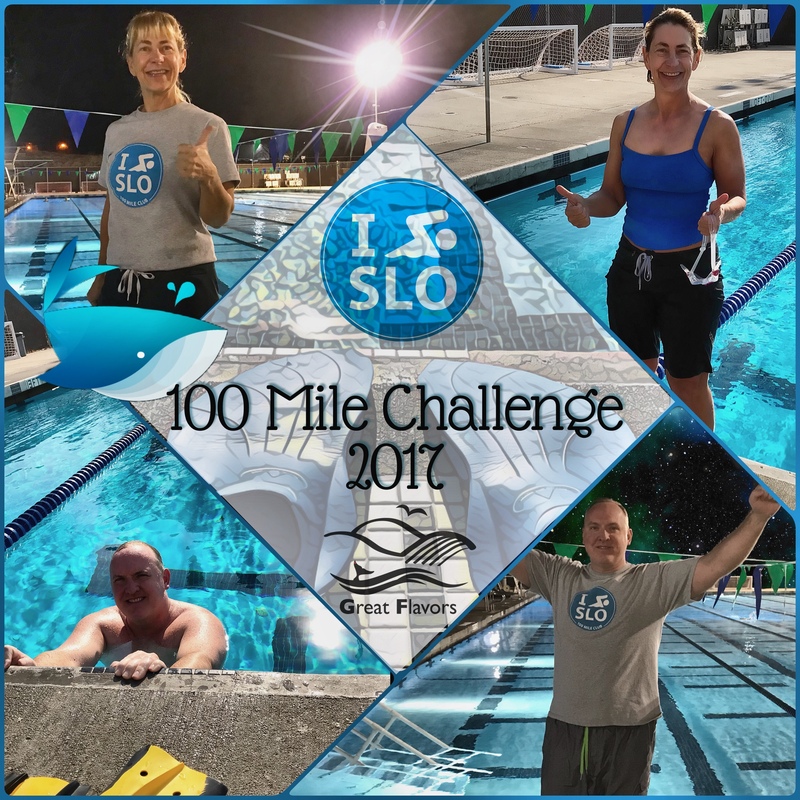 One year, and many (many) hours later, we accomplished our goal of completing the SLO Swim Center’s 100-Mile Challenge for the second year in a row. And as we rediscovered and came to understand more deeply, there’s more to reaching the goal than making it to the finish. It really is about the journey, and the adventure, camaraderie, and experiences along the way. Week after week, as the laps added up, a lot of thoughts bubbled up and floated to the surface. Here are just a few (and we think perhaps they apply to more than logging laps). A good friend will help you through the rough water and help you enjoy the calm water even more. The only secret to achieving a goal is sticking with it, and the goal is closer with every stroke. No magic wands, just the magic of time and commitment. Celebrate the milestones as their own accomplishments, because together, they add up to something bigger than the parts. 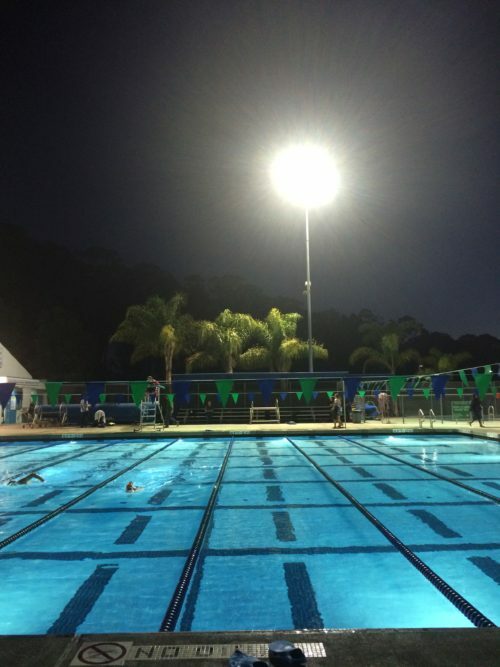 The SLO Swim Center in Sinsheimer Park is a great community resource for swimmers and others who enjoy water activities. Please join us for the 2018 Challenge! It’s free to sign up, with super low daily admission costs. No matter what your ability or speed (neither of us will set any records) we welcome you to join The Great Flavors Swim Club. We’ll support each other along the way and enjoy this wonderful, healthy activity at the great outdoor SLO Swim Center pool.